This has been quite the whirlwind year for Sarah Palin. Many people are split on whether she ultimately helped or hurt John McCain's chances at the United States presidency. Although I didn't agree with her on most of her stances, I liked her a lot as a person and thought she was very interesting and down to earth. However she has certainly provided a large amount of late-night fodder. Not limited to: the winks and folksy talk during the debate, the wardrobe malfunctions and the constant focus on her family during the beginning. Ultimately I think history will view her as a Dan Quayle-type politician and the run in '12 she has hinted at, will be fruitless at best. 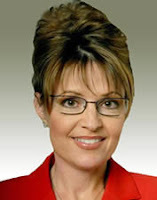 I say that because Palin in essence is a combination of Mike Huckabee and Karl Rove. I make that connection because she combines folksy religious-ness with red-meat conservative platforms. Huckabee proved that evangelicals do not have enough pull in the party to anoint their own candidate and Rove left the White House weakened at best. Telling people that Democrats are "soft" on national security and god-less when it comes to religion, will only work for so long in elections. Eventually those criticisms fall on deaf ears. Palin can salvage her reputation by spearheading a diversified group of issues and beefing up her foreign policy experience from now until '12. If she is able to shake off those issues and keep her personality, she could transform herself into a George Bush II style candidate with religious principles and compassionate conservatism. Although Bush seems to be vilified for all the nation's problems, he did win two terms didn't he?